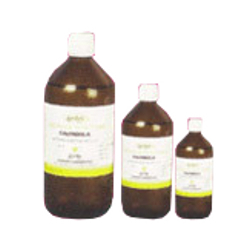 Dilutions offered by us are potentised medicines that make the core of homeopathic treatment. These are formulated using alcohols of premium quality that are free from aldehydes and ketones. It is owing to these quality ingredients that are pure, expensive, and back potent, which make our dilutions superior to the others. The potentisation of the sourced drugs is carried out by Hahnemannian method that is introduced by none other than Dr. Samuel Hahnemann. After formulation, these dilutions are filled in a sterile area and a laminar flow station for ensuring their hygiene and purity. Further, these are well-labeled and documented by using computerized technology, so as to ensure high accuracy and reliability. It is owing to the diagnosis of the doctor, selection of the medicine and ultimately, the quality/purity of the dilutions that a homeopathic treatment finally succeeds. Leveraging on our rich experience of 34 years, we have gained immense recognition in the global market. In order to fulfill varied requirements of the pharmaceutical industry, we are engaged in offering our clients a wide range of drugs. This range comprises Neutraceutical Items, Homeopathic Trituration, Bach Flowers, Mother Tincture, Homeopathic Tablets, Lunto Cough Syrup, Realax Laxative Syrup, Pharmaceutical Syrup, Careron Iron Tonic, Dige-Lon Digestive Tonic, Catri Anti Arthritic, Costivex Gel, Zymocid Gel and Dilution. We also bring forth External Preparation, Syrups, Ointments, Tablets, Medicinal Chemicals and Medicinal Herbs. Our entire range is known worldwide for its precise composition, fast action, quick relief, safe usage, and long lasting effects. For the processing of our range of Pharmaceutical Drugs, we have set up a state-of-the-art infrastructure that is equipped with latest technology machinery. We have also hired a team of chemical experts, which ensures that the products are formulated using accurate composition of constituents. Further, we lay focus on effective and hygienic packaging so as to assure the delivery of world-class quality products to our clients. Our products are highly acclaimed amongst our clients as these are processed as per FDA approved plans for GMP. We manufacture the product for Marketing companies in their Brand Name.we have Sister concern unit for producing food and feed supplements. and also produce the same for marketing company.